Disturbed in Montreal or Quebec City? Inform me about the next events for Disturbed. Enroll yourself to our priority waiting list for Disturbed to be alerted when new tickets are available. Filling this form doesn't engage you to any purchase. 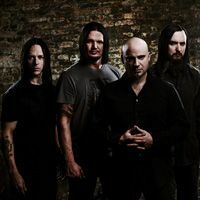 Metal band Disturbed will be performing at the Place Bell, in Laval, on March 1st, 2019, with Three Days Grace as the opening act. Disturbed will be performing songs from their new album Evolution, which was released last October. Don't miss this hard rock / metal evening at Place Bell, with Disturbed and Three Days Grace!